Insol – Close up on me ! Shape : IDYLLE – Diana Bento Shape x Vista Diana Mesh Head . By Me COMING SOON! 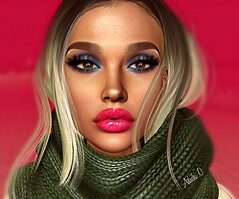 Head Skin Applier : INSOL – Diana Catwa Applier – Tanned. By almercury NEW!! !♥♥♥ @UBER from 25th of feb 2017! !